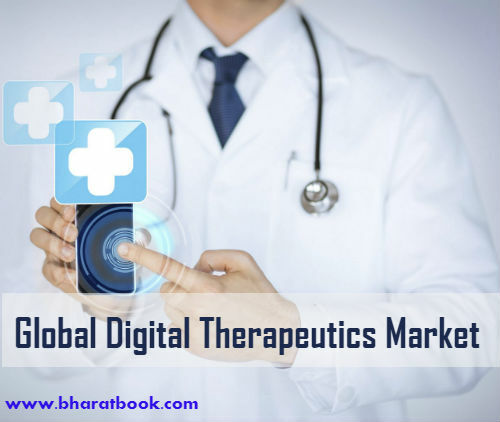 Bharat Book Bureau Provides the Trending Market Research Report on “Digital Therapeutics Market to 2025 - Global Analysis and Forecasts by Application (Diabetes, Cardiovascular Diseases, Central Nervous System (CNS) Disease, Respiratory Diseases, Smoking Cessation, Musculoskeletal Diseases, Others); Distribution Channel (Patients, Providers, Payers, and Employers) and Geography” under Life Sciences category. The report offers a collection of superior market research, market analysis, competitive intelligence and industry reports. Global Digital Therapeutics Market is expected to reach US$ 8,941.1 Mn by 2025 from US$ 1,993.2 Mn in 2017. The digital therapeutics market is estimated to grow with a CAGR of 20.8% during the forecast period from 2018 to 2025.